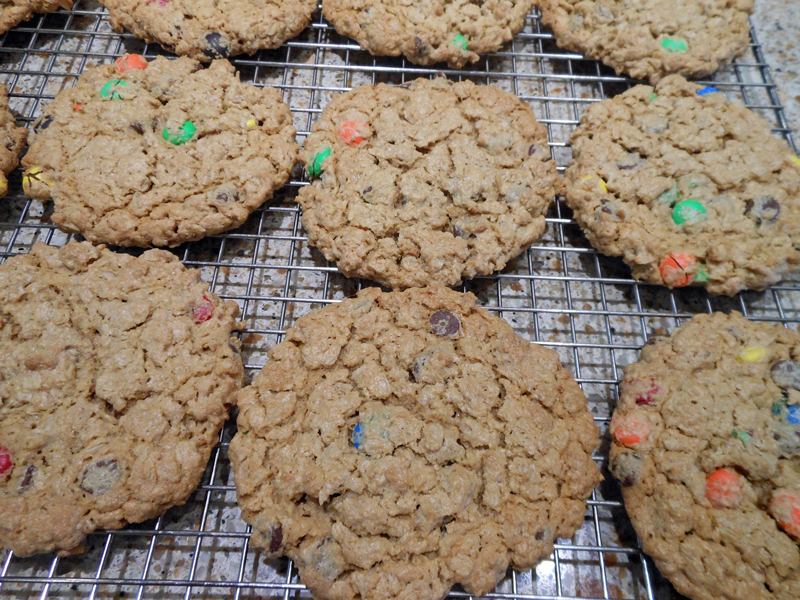 These cookies contain oats, peanut butter and chocolate. They are big in size, but can be made smaller. The kids will gobble them up. Pack dough into a 1/4-cup measure. Drop dough 4 inches apart onto prepared baking sheets. Lightly press each cookie into a 3 1/2-inch circle with fingertips. Bake at 350 for 12 minutes (centers of cookies will be slightly soft). Cool slightly on baking sheets; remove to wire racks to cool completely (about 30 minutes). Makes 2 1/2 dozen. 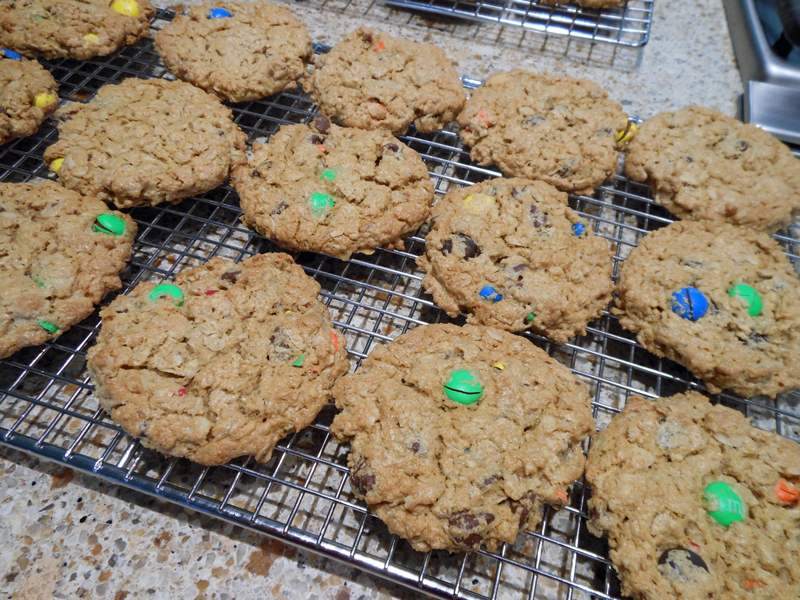 If you make the smaller cookies, I baked them less time (about 11 minutes).